WordPress is one of the most dominant content management systems in the Blogosphere. And this is for a reason: being an open source platform, it allows its users to program their own plugins, themes and widgets enabling them to create exceptional, functional websites. The library of the WordPress plugins is huge, and it may take you awhile to find the plugin that will work best for you. With this article I’m going to cover the most high-rated WordPress plugins developed for maximizing your blog’s earning potential. Ability to implement your own unconventional ad design. Ability to select between one and 2-column ad display. Ability to set the number of ads you wish to display at once + ability to set either manual or random order. Ability to track your visitors’ clicks. Furthermore, with this plugin there’s no need to take the ads down manually – just set the time frame, and the ad will be withdrawn automatically. When the ad slot is empty, you may display ‘Your Ad Here’ banner there. Tax and currency control (works both for local and international e-shops). Various options for product description/display. You can integrate this plugin into any WordPress design. 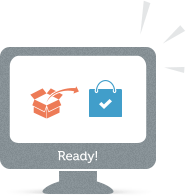 You can extend and modify your shopping cart using numerous extensions created specially for Ready! Ecommerce. This plugin has both free and premium versions. Create iPad, iPhone, Android, Blackberry and desktop-friendly media galleries. Optimize your media for the search engines. Enable background music option (for desktop browsers). This plugin is the smart choice to showcase your very best products and/or describe in brief any event. Grand Flagallery is highly customizable. Besides these, there are many more efficient WordPress plugins on the web. Most of them are gathered on the official library of WordPress plugins. My name is Howard Steele. I'm a webmaster, the founder of http://superbwebsitebuilders.com/. This is my personal blog where I post actual website builders reviews, comparisons and web design-related articles. 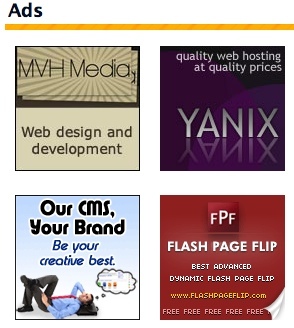 Visit this site to find the optimal website building software. all the three plugins you talked about are very beneficial for every blogger. I think every blogger should use these to improve his/her site’s performance on the internet. thanks to share this information among us..